The question of who owns the moon is at the center of a new lawsuit filed against NASA by a woman who wants to keep a vial of lunar dust gifted to her by astronaut Neil Armstrong. The woman, Laura Murray Cicco, filed a lawsuit against the space agency last week preemptively—NASA hasn’t come for her vial, but the agency has tried to seize lunar mementos in the past. Cicco’s mother “gave her a glass vial with a rubber stopper full of light grey dust” when she was 10-years-old, according to the court document, but reportedly hadn’t seen it “for decades” until five years ago when she was going through her late parents’ belongings. The authenticity of the note and the moon dust have both been tested by experts. A handwriting expert authenticated Armstrong’s note, according to Cicco’s attorney, Christopher McHugh. 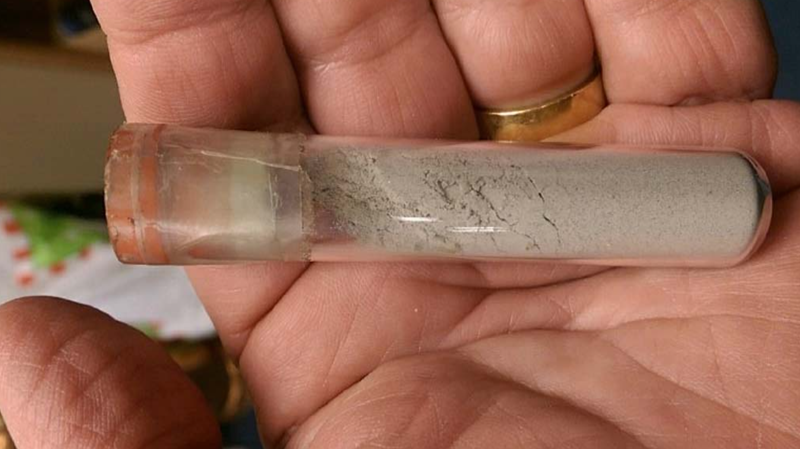 The latter isn’t as firmly substantiated—one expert found that the moon dust in Cicco’s vial “may have originated” from the lunar surface, according to court documents, the Washington Post reported, while another test found the composition of the moon dust sample to be similar to the “average crust of Earth.” But the inconclusive finding doesn’t necessarily discount the potential authenticity of Cicco’s moon dust. The expert wrote in his report that Earth dust could have potentially mixed with the moon dust sample, according to the court document. “At this point, it would be difficult to rule out lunar origin,” the expert wrote. In fact, scientists researching the dangers of moon dust weren’t even able togain access to the real stuff in their experiments, instead using simulated lunar dust for a study they published last month. Bruce Demple, a professor at the Stony Brook University School of Medicine who authored the study, told Gizmodo that he hopes their findings—that simulated moon dust presents health risks—will convince NASA to give them real moon dust from the Apollo missions.